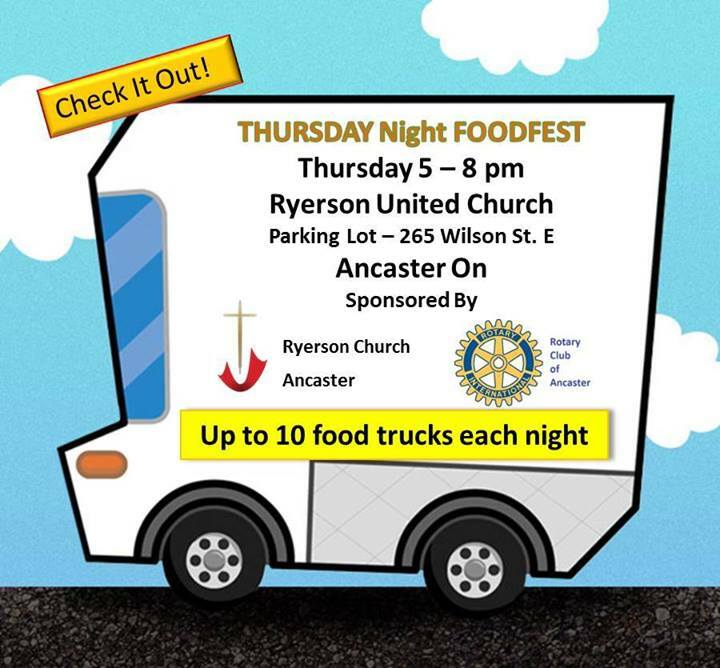 Thursday Night #foodfest is an event that will be taking place at the Ryerson United Church parking lot, conveniently located at 265 Wilson Street East, on Thursday nights between 5:00 pm and 8:00 pm. There will be lots of food choices for everyone with up to 10 gourmet food trucks each night. This event is Sponsored by Rotary Club of Ancaster and Ryerson United Church Ancaster.